Ensuring quality with every vehicle is a tough proposition for a car company, and Toyota is no exception. It was announced on Nov. 6th 2013 that a voluntary recall of about 4,000 2013-2014 model Tacoma 4 cylinder pickups has been issued by Toyota. Specifically this recall affects models with the standard 2.7 liter four-cylinder. This recall is due to faulty engine valve springs. The part in question is made by only two suppliers for Toyota. Due to improper maintenance of the machines used to create this part, some of the valves springs are of inferior quality. Over time it is possible for this faulty part to crack and eventually break. This will cause the engine to emit odd noises and cause the performance of the engine to be noticeably rougher. Most drastically, if this part fails it can result in a complete engine breakdown while the vehicle is in operation. As part of the announcement Toyota has indicated that owners who are subject to this recall will be notified by first class mail. Toyota creates this list of recipients through their registration. It is common practice for the dealership to register the truck for their customers. If, however, the truck has not been registered with Toyota then it is possible for the customer to not receive this notification. 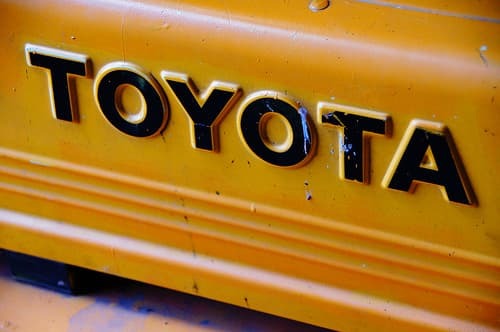 If you are unsure if your truck is registered with Toyota and you believe it is possible for to be included in this recall contact Toyota’s customer center by phone at 1-800-331-4331. This number will take you to an automatic menu. In the first menu press 2, when the second menu begins press 2 again and that will direct you to the recall department. They will require personal information such as phone number, address, and possible information about where the truck was purchased. Most importantly they will require that you have your VIN on hand, as this will indicate if you require a recall. Customers can also visit Toyota’s webisite at www.toyota.com/recall. The webisite will allow customer to input their vehicles VIN to determine if they are subject to this recall. The site also offers more detailed information regarding the recall.